Root 18 has a philosophy when it comes to fitness. There are no shortcuts on the road to success (or fitness) in this case and we believe in teaching people the importance of longevity. 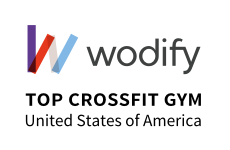 CrossFit is an amazing training mechanism if it is applied right and Root 18 has perfected the “Art of CrossFit”. Root 18’s brand of CrossFit is a EXCELLENT program with an emphasis on efficiency and mastering movement which all equate to getting very fit. Our standards for coaching are the highest around and each class consists of a “Coach-led” dynamic warmup or mobility sessions, followed by work that leads into either a strength movement or new skill. Once we have put in some hard work there, it is on to the conditioning AKA “Met-Con” followed by a brief cool down. A note about safety. Some of the movements are complex, and every CrossFit workout will test you. That’s why safety is always Root 18’s (and every one of our coach’s) first priority. Every workout is scalable, so you’ll always get a challenging workout, no matter your personal fitness level.